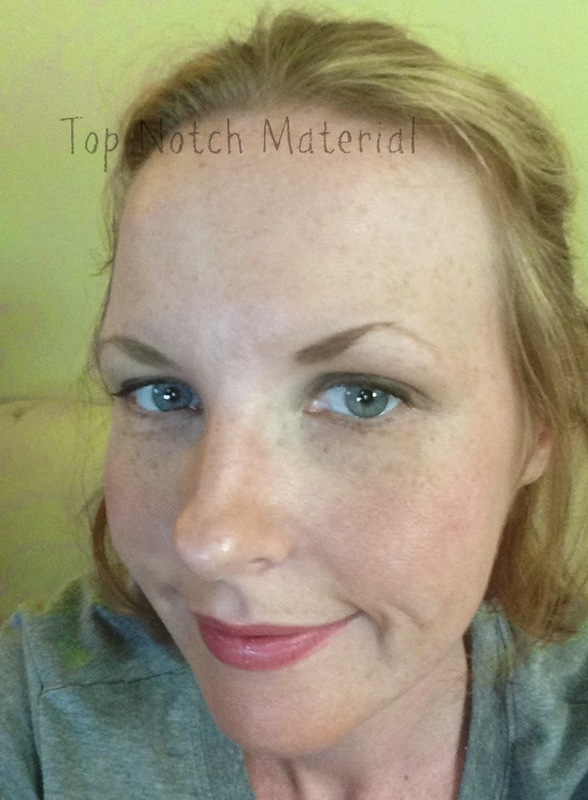 Top Notch Material: Achieve the 66th Emmy Primetime Award Look with the Help of Mary Kay! Achieve the 66th Emmy Primetime Award Look with the Help of Mary Kay! Did you watch the Emmy Awards? If you did, what was your favorite makeup look? Personally, I tend to gravitate towards more subtle, natural looks so when I saw the beautifully polished, classy face that Kiernan Shipka sported at the event, I was in love!! The 14 year old, stunning star of Mad Men amazed with her "Naturally Youthful" Look! Mary Kay has recreated this look with four easy steps! You can also achieve this look with just four fabulous products!! I was lucky enough to receive these products and try them out for myself!! I love each and every one of them! I do not have the benefit of youth on my side (well at least not being in my teens or early twenties) but I still think this look looks nice on me! It is totally appropriate for professional wear, weekend wear or for just a casual day to day look. Spread Mary Kay At Play Jelly Lip Gloss in Poppy Love across lips. For natural eyes, use Mary Kay At Play Baked Eye Trio in Earth Bound using the chocolate shade on the lids and the metallic taupe color on the brow bone area. Apply Mary Kay Eyeliner in Deep Brown to lower lash lines. Brush on Mary Kay Mineral Cheek Color in Shy Blush to the apples of cheeks for a natural glow. As always Mary Kay has awesome products that have totally impressed me! I love the new Naturally Youthful look they have provided me with, and it is now my new everyday look! I use to wear mary kay makeup...I loved their foundation it gose on so smooth.